The New Canaan Country School girls’ squash team earned a fourth place national ranking following three days of hard-fought matches in the 2018 U.S. Middle School Team Squash Championship held at Yale University Jan. 19-21. Seeded in Division I, the seventh and eighth grade girls played a total of four matches, winning two. “The girls battled with focus, energy, emotion, poise and enthusiasm while displaying tremendous sportsmanship,” coach Cynthia Badan said. Members of the girls’ team included seventh graders Maeve Baker and Cece Salvatore, both of New Canaan, and eighth graders Mary Duffy of Darien, Amanda Miller of New Canaan and Ella Schoonmaker of Darien. The boys’ squash team enjoyed success as well; placing third in the nation in Division II competition. 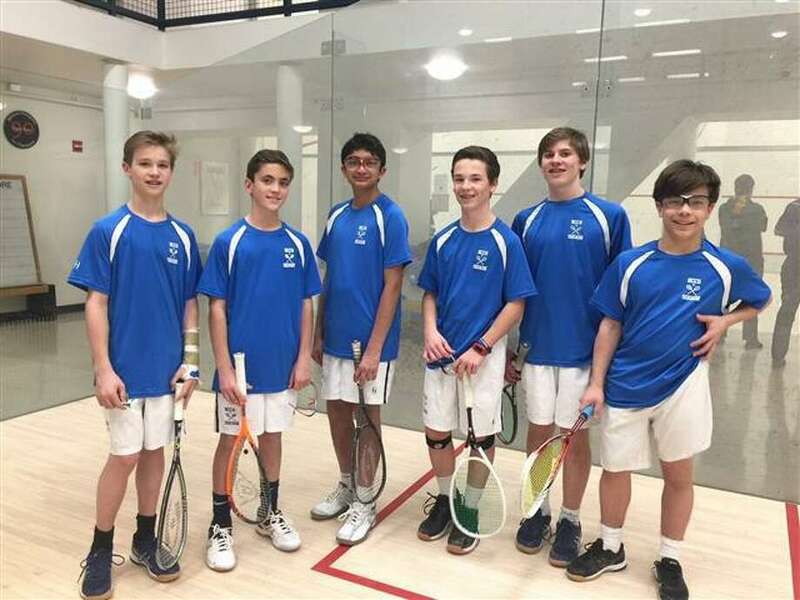 “The boys’ team has shown enormous improvement as both competitors and teammates since the beginning of our season and they should be proud of their individual accomplishments as well as how they represented Country School,” said Coach Badan who is assisted this season by apprentice teacher and coach Madeleine Ker. The boys’ team consisted of seventh graders Dean Ambrose of Rowayton and Parakram Karnik of New Canaan, and eighth graders Stanley Bright, Cody Comyns and Peter Miller, all of New Canaan. The 11th annual tournament, although a national event open to all fifth through eighth grade teams, drew heavily from CT, PA, MA and MD with a total of 62 teams and 300 players competing. Country School varsity squash co-captains, ninth graders James Kontulis and Daly Baker, both of New Canaan, provided valuable leadership and support to their teammates in the days leading up to the contest, as well as during and following critical matches.